At least 35 people have been killed and dozens wounded after attackers stormed a Shiite Muslim cultural centre in the Afghan capital. Interior Ministry spokesman Najib Danish said a number of suicide attackers set off an explosion outside the centre before storming it. They then set off explosive devices in the basement of the building where scores of people had gathered to mark the December 1979 invasion of Afghanistan by the former Soviet Union. Shiite leader Abdul Hussain Ramazandada said witnesses reported at least one suicide bomber sneaked into the event and was sitting among the participants. He exploded his device and as people fled more explosions occurred. The centre is located in the Shiite-dominated Dasht-e-Barchi neighborhood in the west of the capital. 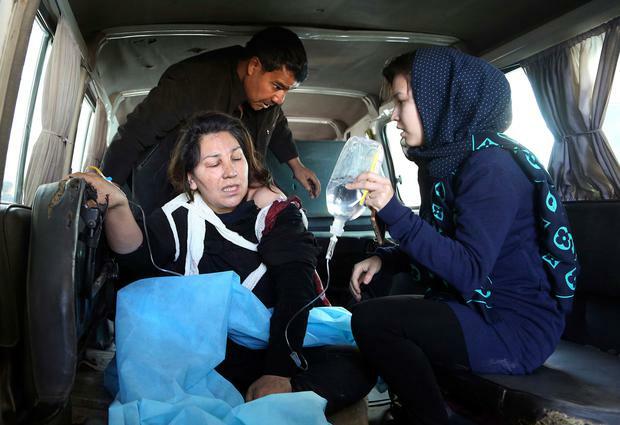 No one immediately claimed responsibility for the attack but the local Islamic State affiliate has carried out several attacks targeting Shiites in Afghanistan. The Islamic State also issued a warning earlier this year following an attack on the Iraqi Embassy in Kabul vowing to target Afghanistan's Shiites. Since then, IS has taken credit for at least two attacks on Shiite mosques in Kabul and one in the western city of Herat, killing scores of worshippers. Taliban spokesman Zabiullah Mujahid denied involvement in Thursday's attack on the cultural centre. The Islamic State affiliate, made up of Sunni extremists, view Shiites as apostates. The IS affiliate is a mix of Uzbek militants belonging to the Islamic Movement of Uzbekistan who broke with the Taliban, as well as disenchanted insurgents who left the much larger and more well-established Taliban. As attacks targeting Shiites have increased in Kabul, residents of the area have grown increasingly afraid. Most schools have additional armed guards from among the local population but Mr Ramazandada said security at the cultural centre was light. 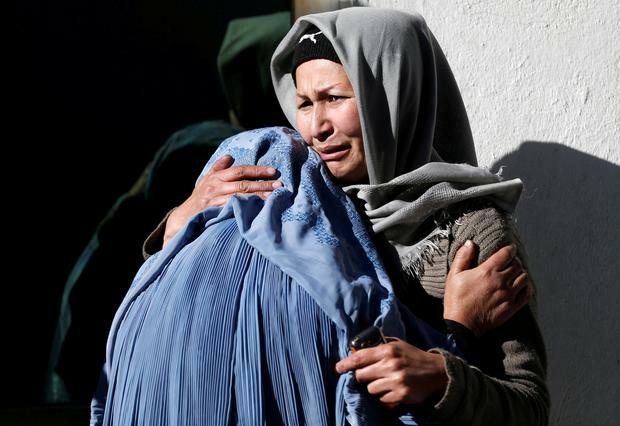 Afghan president Ashraf Ghani called the attack a "crime against humanity". In a statement released by the presidential palace, Mr Ghani said: "The terrorists have killed our people. The terrorists have attacked our mosques, our holy places and now our cultural centre." He called them attacks against Islam and "all human values". Separately, Dawlat Abad district governor Mohammad Karim said a powerful mine killed six shepherd children ranging in age from eight to 10 on Wednesday. No one immediately took responsibility for the attack but Mr Karim blamed the Taliban, saying the insurgents planted the mine to target Afghan officials and security forces. Elsewhere, a Taliban attack on a security police post in central Ghazni province on Wednesday night left three police dead and one other wounded, said Mohammad Zaman, provincial chief of police.